– “The LEGRIA FS306 records movies straight to SD or SDHC memory cards – easy to carry and ideal for sharing.” – Considering our editing is all occurring on an iMac, this feature is useful because we can just put the memory card into the iMac and begin editing immediately; rather than enduring an oblique process of converting our footage to specific file types. – “Letting you get closer to all of the action, the DIGIC DV II processor combines with the optical precision of a genuine Canon Video Lens to deliver the reach of a 41x Advanced Zoom.” – Our piece revolves around extreme close-ups, much panning, and zoom shots; therefore the camera’s capability of precise zooming is much needed in our production. – “Shoot for up to 3.5 hours on a single charge. The intelligent battery displays remaining charge in minutes. When you do need to replenish, it takes just 20 minutes to recharge for an hour’s recording.” – All filming is going to take place in a garage therefore the camera will need to be fully charged to operate throughout the entire filming process. We have only borrowed the camera from the school and estimate to have it from wednesday to monday, but only shoot for about 2 hours. This camera is capable of operating effectively for 2 hours, therefore we have avoided time-wasting on having to stop to charge. – “Record steadier footage, even when you’re moving. The LEGRIA FS306 features an Image Stabilizer with a new Dynamic mode, which compensates for a wider range of camera shake.” – The image stabilising feature is important for our piece because there is a large amount of panning to shoot because the footage is purely scene establishment. Without shaking camera movement, the footage will look less homemade and more professional. There is many panning shots using a wheeling dolly so an image stabiliser would be invaluable. 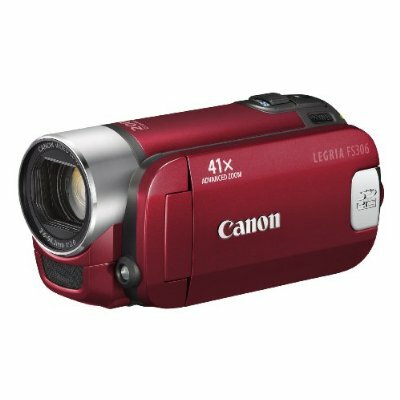 – “Dual Shot sets all controls to automatic, making the camcorder really easy to use. You can shoot high quality video and photos, without the bother of switching between settings on the Control Dial.” – A pre-setting to the camera mitigates the chances of us not fully understanding its operating. – “Record stunning, panoramic widescreen movies in true 16:9. Monitor your video footage the way it appears on a widescreen TV via the 6.7cm (2.7″) 16:9 LCD.” – The size of our footage is large enough to express detail but not too large to ruin quality. A useful feature to present a more attractive piece. Obviously in a shut-up garage the lighting was non-existence, so we are taking with us a floodlight. We needed a flash feature, as well as a straight continuous flood of light. The light we are taking has both and the controls are easy to use. We need two tripods to situate our camera on and our floodlight on. This way the light will always be facing in the way we want it and is not exposed to be changed through gentle knocks; and the camera will be facing the way we have manipulated it to be. Also there is no shaking image from the unfixed camera unless we have deliberately made it shake to indicate an inexactitude in the prisoners’ sight and consciousness. The specs on the tripods are that they have to be adjustable for height and rotation because we are shooting two boys laying supine on mattresses from a position of height (to indicate an inferiority of the prisoners) and we need the camera to rotate horizontally to pan the scene in several shots. The tripods we are taking have these specifications. A picture is below attached to the dolly. We are using a dolly: a tripod with wheels. We are not taking a track which might be an issue considering the garage floor is uneven but we cannot obtain one. We are having a shot where the camera traverses the room and establishes the whole scene; for this we need the dolly. An important part of our footage is the lighting. If we had no lights and tried to shoot, then our footage would be too dark and images would be indiscernible. If we had the lights on or we had torches/other lighting equipment shone on the set, then the effect we wanted (to create obscure shadows and partially light the set in a flickering manner of which could even disorientate the viewer) would be lost – the set would be too brightly lit. To overcome this issue we obtained a reflector. To create the flickering effect we would shine the floodlight onto the reflector which would be situated off shot; the reflector would be angled to reflect the light back onto shot; and a person is needed to hold the reflector to make the angling correct, and this person gently shakes/wobbles the reflector. This effect is in place to resemble the prisoners’ inexactitude of sight and consciousness.